Rick Nash is not ready to retire, but whether he will continue his playing career remains to be seen. Speaking to Aaron Portzline of The Athletic on Tuesday, Nash said his health will determine whether he dresses in a 16th NHL season. Nash said he continues to deal with concussion symptoms after suffering a head injury with the Boston Bruins in March. He returned to play for the Bruins in the postseason in April, but elected against signing anywhere as a free agent July 1 while he weighed his playing future. He declined to go into details on his side effects, but said the lingering issues will determine his future. "I miss it; I love the game," Nash told Portzline. "The game has been my whole life, so it's been a hard adjustment to not show up for training camp, for fitness testing ... it's been really tough. "But my family is what's most important to me, and I have to get my health in the right spot before I figure out what my plans are, and I don't know when that will be. "There's a chance I could get healthy, come back, and be great. But there's definitely a chance that I don't." Nash's agent, Joe Resnick, released a statement on Tuesday refuting a report on Twitter that the 34-year-old was ready to retire and said the winger's stance had not changed since July 1. Nash scored 21 goals and tallied 13 assists over 71 games with the New York Rangers and Bruins last season. 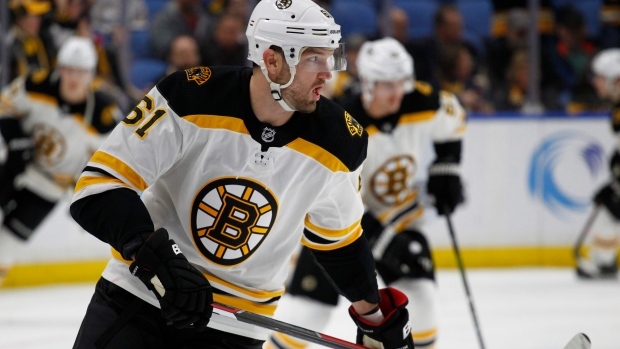 He added three goals and added two assists in 12 playoff games for the Bruins. The Brampton, Ont., native was drafted first-overall by the Columbus Blue Jackets in 2002 and spent nine seasons with the organization. He is the franchise's all-time leader in goals (289), assists (258), points (547) and games played (674). Portzline believes if Nash become healthy enough to play this season, he would "almost certainly" sign with the Blue Jackets or one of the five to six teams he's pegged as Stanley Cup contenders. If he has played his final game, though, Nash said he's content with where he is. "I'm in a good place," Nash said. "I'm in the city that I love. I have my kids, they're healthy, and that's No. 1 in my life. Sure I miss it, but I'm more worried about my health and getting back to 100 per cent. You can't put a price on that." Nash, a two-time Olympic gold medalist with Team Canada, has 437 goals and 805 points in his 1,060 career NHL games.